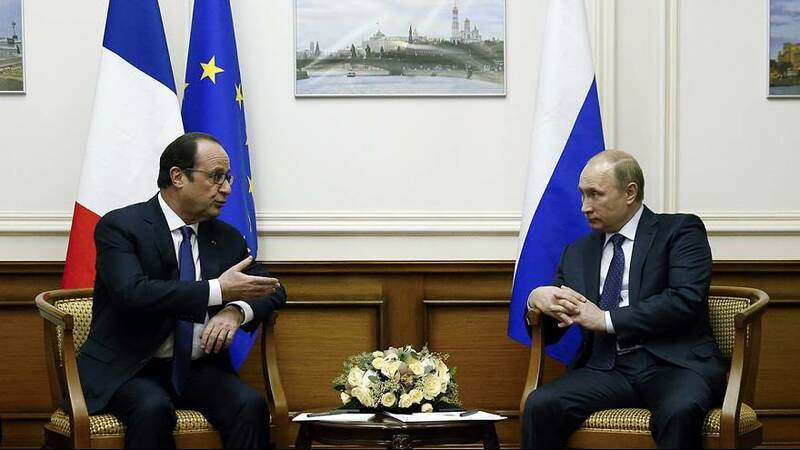 French President Francois Hollande has met with his Russian counterpart Vladimir Putin in an unscheduled visit in Moscow. Hollande was travelling from Kazakhstan to France on Saturday when he decided to make the brief stopover to talk about Ukraine. The two men met for around two hours at Moscow’s airport. “I believe that we have to avoid having more ‘walls’ that separate us. At this moment we have to be able to overpass the obstacles and find solutions,” said Hollande. Meanwhile, Ukrainian President Petro Poroshenko said on Saturday a preliminary agreement was in place to hold more talks in the Belarusian capital Minsk on Tuesday. Despite a September ceasefire deal between the two sides fighting between Kyiv government troops and pro-Russian separatists has continued.